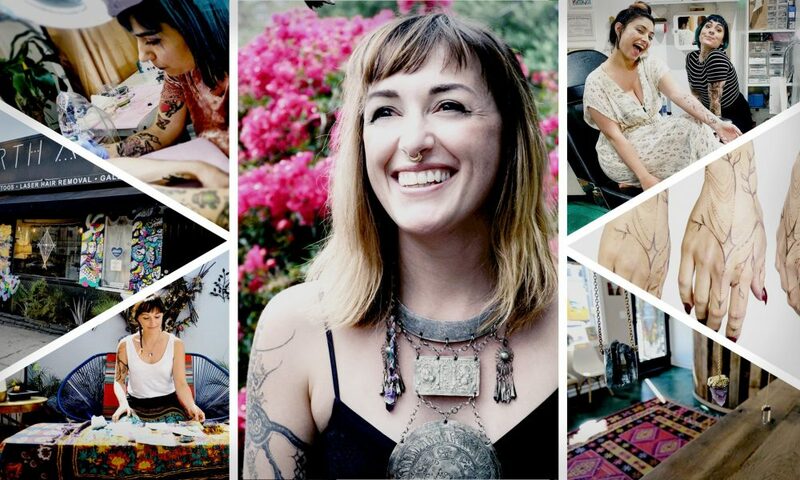 Justine Serebrin founded Earth Altar, an extraordinary tattoo studio focused on women. So many of us have had a vision or an idea of what our calling might be – Justine’s story is an inspiring reminder of why taking risks and pursuing our destiny is so important. Often, it’s not just about us, it’s about the impact we have on others. 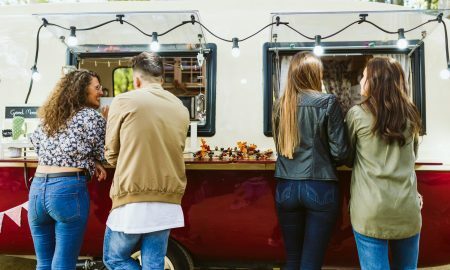 Have you ever been to a tattoo studio or medical spa that looked and felt like a bright, warm and welcoming place? I sure hadn’t when I began my tattoo career about 10 years ago. I had actually only been to one tattoo shop and felt pretty intimidated and nervous when I initially walked in. At that time, I had a part-time job face and body painting and was driving the Metallica van all over the city handing out stickers just to make ends meet. I was simultaneously having some pretty powerful spiritual experiences occur which would soon become the catalyst for my new career path to be unveiled. The first visions I had, came to me just after my guided meditation track ended. Ambient music started and the next thing I knew I could see and feel myself, so very clearly sitting on the light wood floor of a beautiful, minimal, clean studio with large floor to ceiling windows overlooking the ocean, the sun was warm and filled the room. There was a woman sitting in front of me and I was tattooing her back and something about the tattoo and the way in which I was tattooing her was helping her, healing her in some way. It was profound and it felt like a calling, I had to follow it! This was only the beginning though, the visions kept appearing, new ideas and ancient concepts were flooding my mind and I designed a tattoo studio which would be welcoming, healing and beautiful, focused on women, for women. 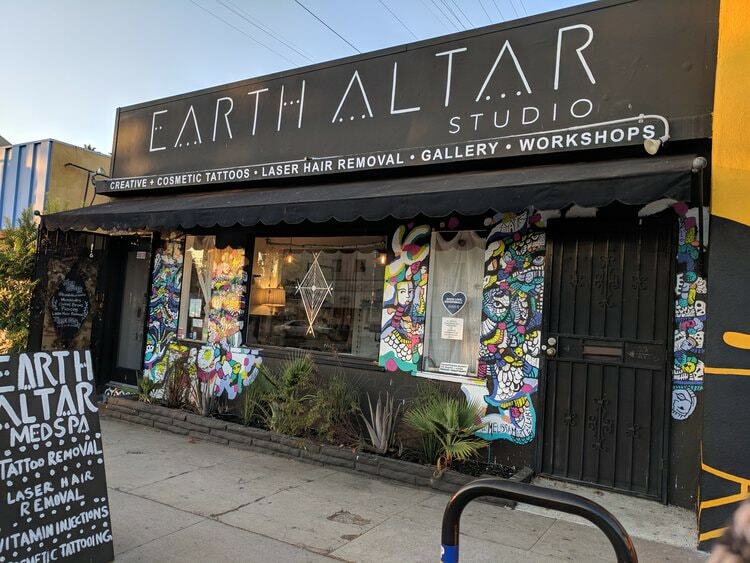 Fast forward 10 years and here it is, Earth Altar Studio, it smells good, feels peaceful and is filled with 3 female tattoo artists Melissa Martell, Vickie Chiang, and Taylor Eacuello whom I have had the honor of teaching. We offer organic herbal tea and raw foraged water to everyone and strive to make everyone feel at home here. My mission for Earth Altar is rooted in the desire to be a sacred, cosmic vortex of love, healing, creativity, and transformation. Transformation is the key! 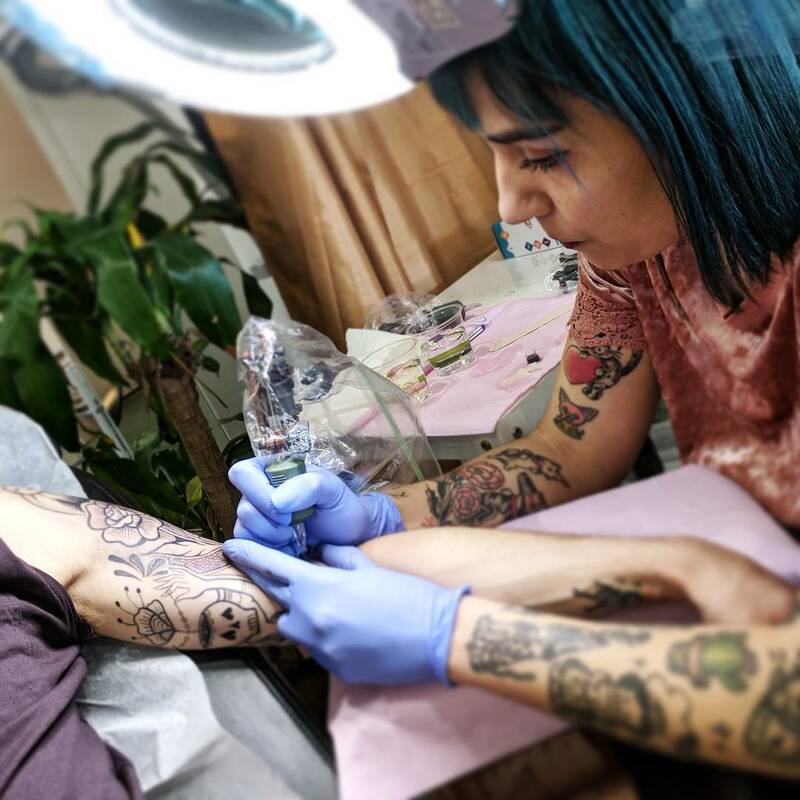 We not only do custom tattooing, we specialize in cosmetic tattooing for everything you can think of, microblading for natural looking eyebrows, freckles, lip liner and lip blush, scalp and even 3D areola and mastectomy tattooing. One special aspect of our studio is that we actually have a Medical Director overseeing us, so medical grade cleanliness really comes first. Our med spa is operated by our RN, Shelley Gautam who specializes in vitamin injections and precision-cooling laser hair removal which is the least painful technology, it’s actually pretty amazing and feels more like a hot stone massage! The greatest accomplishment from this whole endeavor has been to be able to work with Survivor’s Ink. Survivor’s Ink is an organization which “exists to empower human trafficking survivors by breaking the psychological chains of enslavement through beautifying, removing, or covering their physical scars, markings, and brandings, which are constant reminders of a violent past. 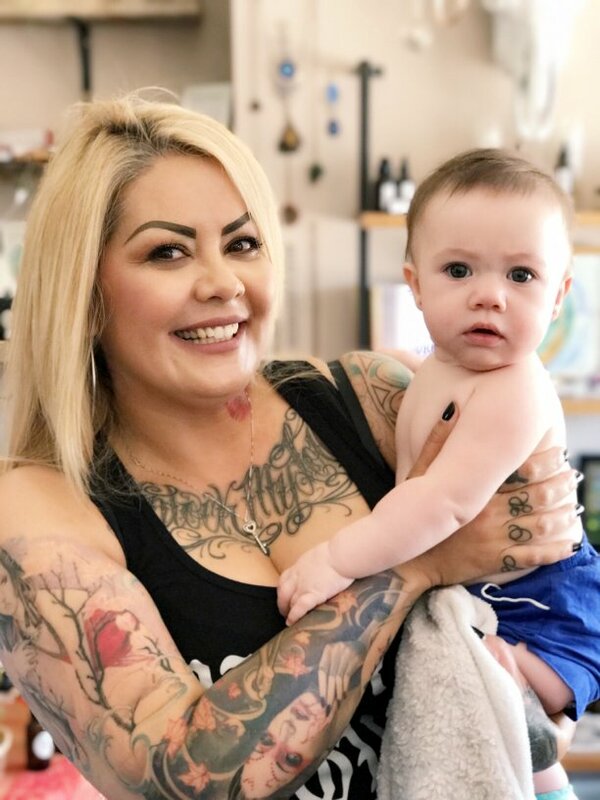 In addition, they strive to be a reliable resource connection to direct services for victims and survivors in order to help them rebuild their lives.” Mickey, our lead tattoo removal specialist and piercer has been a powerful addition to our team. She helps these women to remove and/or lighten their tattoos without the extreme pain from laser tattoo removal. We use a method called Elimink that feels just like getting a regular tattoo or maybe less due to the numbing cream we use. Once the tattoo is lightened our artists can cover the remains with a beautiful and custom design that these warrior women get to choose. Working with these survivors has really changed the game for me. I cannot tell you how meaningful it is to be able to permanently bring a sense of freedom and sometimes safety to them and adorn their body temple with something beautiful that they love. Most of us take our ability to choose our tattoos for granite and this really takes it all to a whole new level. Mickey and I have fallen in love with Survivor’s Ink and our goal is to help as many women as humanly possible. The creation of Earth Altar Studio has been the most rewarding journey of my entire life and I am filled with so much gratitude for my family, friends and my amazing team who have all helped me bring this vision into manifestation. 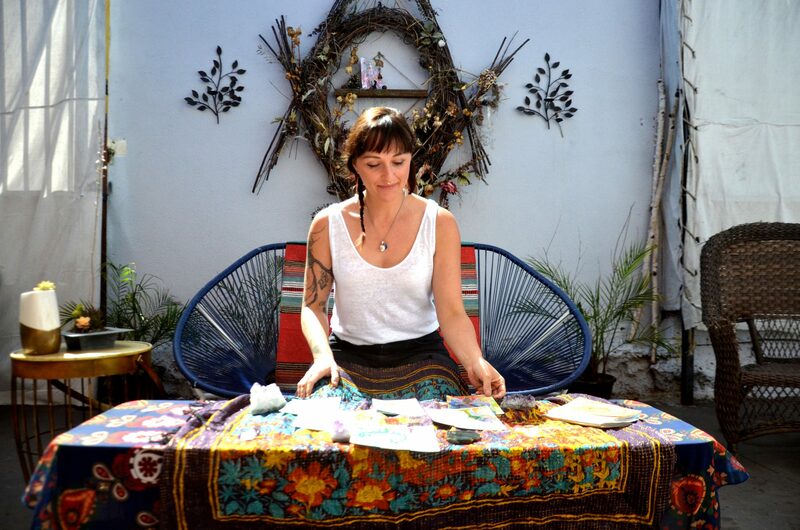 It has taken a community to birth this into the world and my ultimate wish is that Earth Altar Studio can help as many people fall more in love with themselves by living the most authentic life they can, in an adorned body they value and love inside and out.